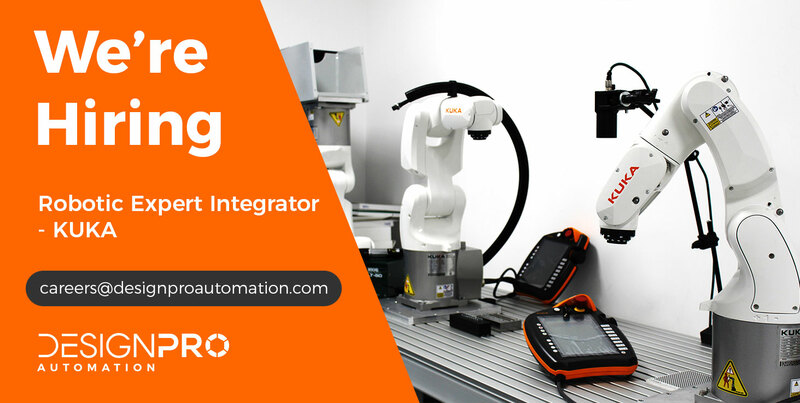 The successful candidate will be responsible to design, develop, install and debug software for robotic systems ensuring complete machine integration. He/she will support all projects from a robotics perspective working closely with internal teams. Third level relevant qualification in engineering, electro-mechanical, automation, software or other relevant related discipline. 2-3 years’ experience in a robotics technical role essential, with a high knowledge of robot anatomy. Robot software programming experience required with Motion and Machine Control Systems. Knowledge and exposure to KUKA and Keyence Vision Systems setup and associated training, desirable. Excellent problem solving and organisation skills with the ability to prioritise tasks. Self-motivated individual a high level of initiative. Must be flexible in regards to travel for extensive training with KUKA and for support within and outside of Ireland. Design, develop, install and debug software for robotics systems and complete machine integration. Analyse, understand and trouble shoot robotic systems. Train robots using interactive training techniques to perform the required tasks. Vision System setup and constant research and development of same within our R&D Department. Complete automation simulations in KUKA SIM and visual components. Test performance of robotic systems and documentation of same. Ensure a consistent software structure is adhered to in line with customer requirements. Provide technical support to customers and visit their sites when required. Develop in-depth technical knowledge of different automation/robotic systems. Review and recommend changes to machine design as per software requirements/implications. Complete records in accordance with the Quality Management System and follow procedures. The closing date for receipt of applications is Wednesday 17th April, 2019.